Chicago Dancing Festival Wrap And a Chance to Win! 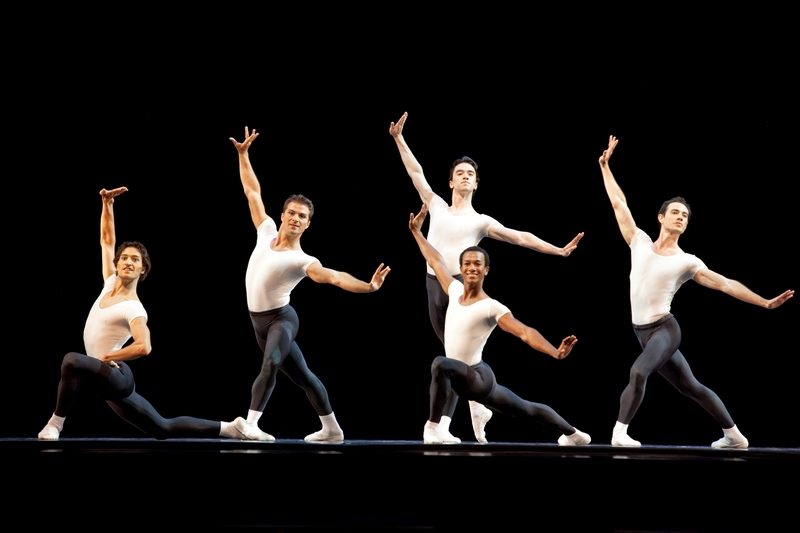 The men of Joffrey in "Stravinsky Violin Concerto". Photo by Cheryl Mann. The Chicago Dancing Festival officially concluded this past Saturday, August 27th. I have greatly enjoyed being a part of the Festival’s first-ever Blogger Partner Program, and I hope you enjoyed my coverage before and during the Festival! I’d like to share one more thing you can do to enjoy the Festival in a whole new way in 2012. Simply click HERE to fill out their 2011 survey by September 9th, and you will be entered to win VIP seats for the 2012 Chicago Dancing Festival. The winner will be notified by email and announced on the Chicago Dancing Festival Facebook page by September 23rd. Thank you so much everyone for reading my content, and I hope you enjoyed the Festival as much as I did! This entry was posted in Chicago Dancing Festival 2011 by Vicki. Bookmark the permalink.